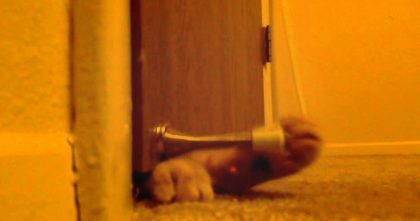 Kitten Brutally Attacks Someone In The Mirror, But It Ends Up Being Utterly Adorable… Awwww! 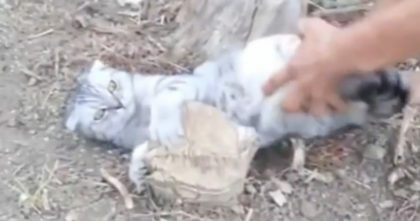 This adorable kitten sees a ferocious stranger in the mirror, so when he tries to attack the other cat? He has no idea that strange cat is himself! His cute little power paws are no match against the other cat in the mirror, no sirree! But why does the other cat keep copying him?? The little fluffball just can’t handle it. 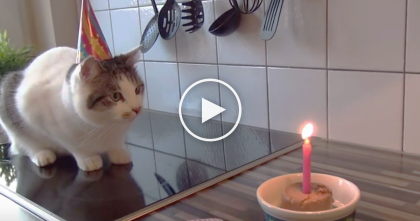 He tries his hardest to win, it’s the cutest—SHARE this little sweetie with a friend! 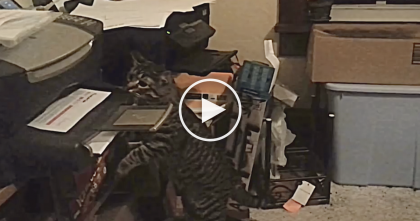 They’re Trying To Print Something, But When The Cat Notices… LOL.